One of the world’s most well known and entertaining science communicators is coming to New Zealand. Dr Neil deGrasse Tyson will be coming to New Zealand – for the first time ever – this July to talk life, the universe and everything. He will be performing his show A Cosmic Perspective in Christchurch (July 4) and Auckland (July 9). Both shows will feature a personal presentation by Dr Tyson himself, a fire-side chat with a local personality, and an audience Q&A session to finish. 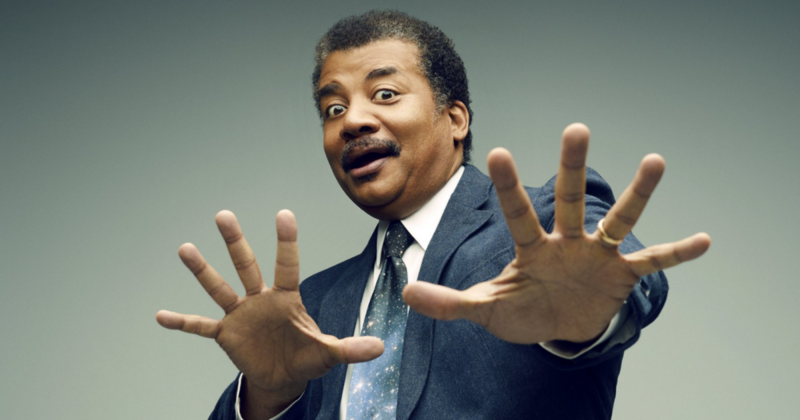 Dr Tyson, an expert on star formation, exploding stars, dwarf galaxies, and the structure of our milky way, is also a best-selling author, Emmy Award winner, recipient of nineteen honorary doctorates, and a man who was once named “Sexiest Astrophysicist Alive”. In his talks he will guide Kiwi audiences on a trip across the cosmos, and help attempt to make sense of some of our biggest questions. In 2017, as the discussions around scientific discovery are still some of the most fascinating we have, Tyson is one of the most well-equipped to answer. Are we likely to encounter alien life, and will they be protected by the same ethical codes we apply to each other? In the era of ‘post-truth’ and ‘alternative fact’, how have the roles of religion, political dogma and general scientific illiteracy fuelled the war on science and reason in western societies? Should we be concerned about the rapid sophistication of artificial intelligence, and does it threaten us with extinction? Or can we bypass this possible doom that looms close on the horizon? Tickets will go on sale in April and you can sign up for notifications here. Great! But why only Auckland and Christchurch? Come to Wellington too. Who cares! The man’s deluded.